We rely on your generous and sacrificial giving. This enables the ministry here to flourish and grow, provide for the staff team, maintain and improve our facilities and enable us to help fund some great churches and mission partners around London the world. Christ Church W4 relies on the generosity of its members to fulfil its mission to join God transforming Chiswick, London and the World. If you have any questions regarding giving then please do not hesitate to contact us. Please register for gift aid via a form in church to enable us to make the most of your donation. Please open and fill in the form below to notify our treasurer if you plan on making a new standing order or direct debit and to indicate what you wish your gift to go towards. Gift Aid is a really valuable source of income for the church since we can reclaim the basic rate income tax you pay. If you are a UK tax payer (Income or Capital Gains Tax) and would like us to be able to claim back the basic rate tax through the government's gift aid scheme, you will need to fill in, sign and return to us an ongoing Gift Aid declaration if you have not done so already. The benefit to Christ Church W4 is that it can recover the basic rate of income tax, currently 25p for each pound given at no extra cost to you. If you pay higher or additional rate tax, you may recover this through your own tax return. Alternatively, you may pass on this extra tax to Christ Church W4 by giving via your employer's payroll giving scheme. If you are a UK higher rate (40 per cent) or additional rate (45 per cent) income tax payer and you give to CCW4 directly and allow us to reclaim the basic rate tax through Gift Aid then you may recover, through your tax return, the difference between the basic rate tax that CCW4 recovers and the higher or additional rate that you have paid. 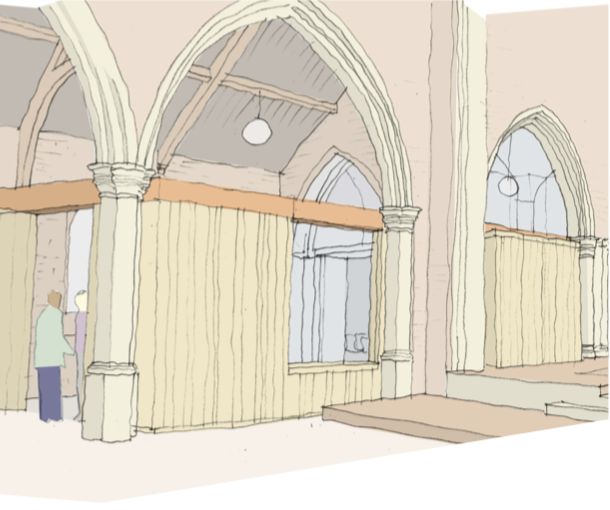 We have seen St. Alban's - an amazing church on Acton Green - brought back to life for the glory of God in Chiswick and to the benefit of the whole community. We are currently seeing our dream of opening a 24-7 prayer chapel start to become a reality. If you’d like to help, you can give to the St Alban’s appeal via the link below. You can give by cash in the collection boxes at our sites, using a numbered envelope if you are a tax payer so that we can reclaim Gift Aid from HMRC. Thinking of leaving a legacy? If you are considering making a bequest to Christ Church W4 or have already included a gift to Christ Church W4 in your will and would like to talk to somebody or require more information, then please feel free to contact us at office@christchurchw4.com or call on 02089957381. This information will be treated in confidence and is not binding in any way.